Citrus-scented BKF Soft Cleanser delivers heavy-duty cleaning power in a gentle formulation that won’t scratch or dull surfaces. Ideal for restrooms, lodging facilities, and industrial/manufacturing locations, BKF Soft Cleanser clings, cleans, and deodorizes while removing lime, rust, soap scum, tarnish, oxidation, and more. Non-bleach formula better for stainless steel, as well as tile, porcelain, ceramic, fiberglass, chrome, copper, brass, and more. 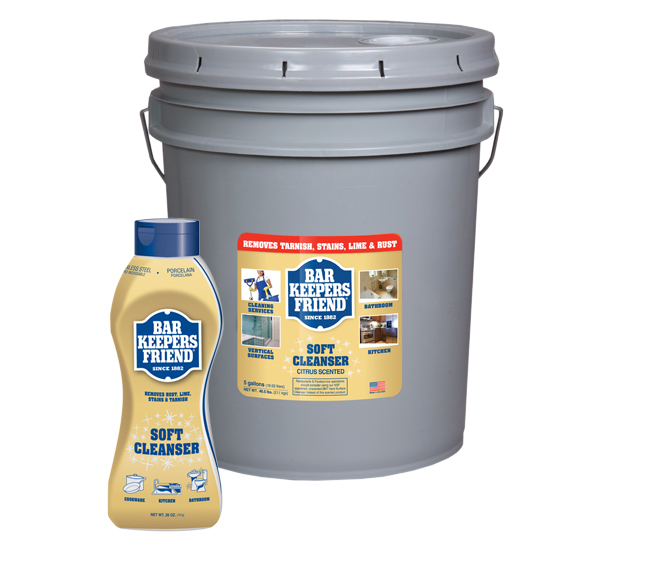 Bar Keepers Friend cuts through your worst grit and grime. Don't take our word for it, check out what brands like Calphalon, Formica, and Kohler have to say.